NEW YORK, August 22, 2013 -- Inc. magazine today ranked RevLocal NO. 472 on its 32nd annual Inc. 500|5000, an exclusive ranking of the nation's fastest-growing private companies. The list represents the most comprehensive look at the most important segment of the economy—America’s independent entrepreneurs. 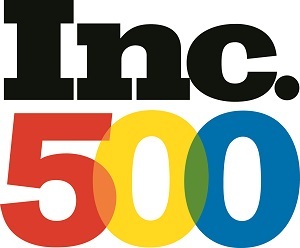 Companies such as Microsoft, Zappos, Intuit, Jamba Juice, Zipcar, Clif Bar, Vizio, Oracle, and many other well-known names gained early exposure as members of the Inc. 500|5000. The 2013 Inc. 500, unveiled in the September issue of Inc. (available on newsstands August 20 to November 20 and on Inc.com), is the most competitive crop in the list’s history. To make the cut, companies had to have achieved a staggering minimum of 918.59% in sales growth. The Inc. 500’ s aggregate revenue is $14.1 billion, with a median three-year growth of 1739 percent. The companies on this year's Inc. 500 employ more than 52,100 people and generated over 44,912 jobs in the past three years. Complete results of the Inc. 500|5000, including company profiles and an interactive database that can be sorted by industry, region, and other criteria, can be found at www.inc.com/500. "Not all the companies in the Inc. 500 | 5000 are in glamorous industries, but in their fields they are as famous as household name companies simply by virtue of being great at what they do. They are the hidden champions of job growth and innovation, the real muscle of the American economy,” says Inc. magazine Editor Eric Schurenberg.